This is Harshitha Narayani (Call me Harshi) from India.Thanks to veg and NeverSeconds for the opportunity to write. I am from Chennai, South India. India is a big country and it is divided in to 28 states and 7 union territories. 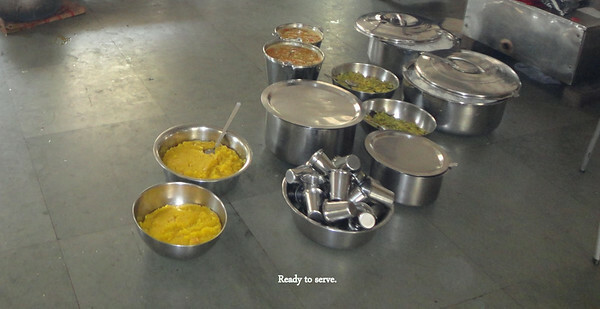 Though each state has different cuisines and culture, we Indians prefer freshly cooked food over tinned food. So the availability of tinned food is low. Indians mostly do not prefer meat daily. So there is a restriction in most of the schools in bringing non veg food to school. The main coarse for lunch is rice always. And different kinds of lentils are used in our food for rich protein. We had Sambar (You can call it as lentil soup.) and it has to be mixed with rice to be eaten. And the vegetable name is Snake gourd. Don't be afraid. It is the name of the vegetable! It is also cooked with some lentils and coconut. Curd (yoghurt) is to be mixed with rice to be eaten after Sambar rice. We had sweet called Kesari made with fine semolina (A product of wheat) and ghee . Every day we have a sweet. And of-course buttermilk to wash down. Curd and buttermilk on a daily basis is needed for the extreme Indian climates. As you would have observed no preservatives or pre- packed stuff is added to our foods. Aerated drinks are strictly not allowed with the food. So time taken- 15 min. Price - Paid with school fees. 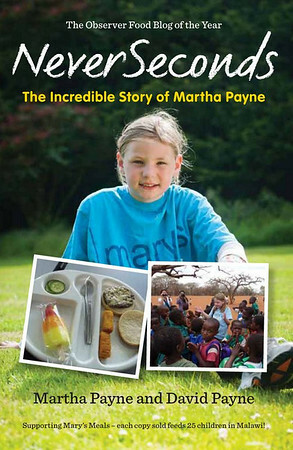 It is a real pleasure to read about your school and food. No carbonated drinks with food and no preservatives - more cultures should learn from this and I would happily eat the food that is on the food platter. It is my pleasure. Thank you. That all looks so delicious! I like the fact that they don't use canned ingredients. I wish more schools around the world did that! Thanks for sharing this with us, Harshi! I love food from all regions of Indian and it is so neat to see what your school serves for lunch. This is a wonderful post, I have always loved Indian Food, and so much is available in Canada, but I was wondering what a normal lunch would look like as opposed to a fancy dinner in a restaurant. 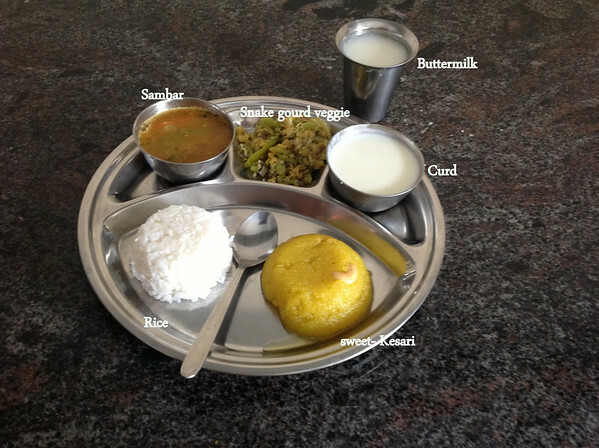 Even with the Ghee, which is clarified butter, I think this is the healthiest meal we have seen for some time. I know not all children in India are lucky enough to have a daily lunch or even school, depending on where they live. I have a wish that every child could have such a wonderful healthy lunch everyday. Lentils and rice do make a complete protein, and the buttermilk and curd are wonderful sources of calcium and dairy protein too. Maybe I will make myself some Indian food for dinner tonight. It is Harshi. Thank you. Yes, It is worrying that kids all over the world are not able to get good food. In India govt arranges free meals for the children in public schools. I saw a documentary about Indian food last week and I thought it was very interesting. They showed how Western fast-food is slowly invading the main Indian cities and how that is bringing health problems to the population (they said diabetes was a becoming a big issue because of it). I think it's really good that your school keeps serving traditional healthy food and it looks delicious. You are true. The culture is changing in India. Most of us are conscious about that. That is a reason I wish to promote Indian food. Well done! This is gorgeous, and of course your english is exemplary. Though American, we rarely serve our kids "American" food -- in fact, tonight we're having boondi ladoo for dessert! Indian food is so beautiful and delicious -- I do hope this isn't your only blog post! Hi, Thank you, Happy to hear that you are saying about boondi ladoo. Yes I posted few. But not regular . Wish I have to. Thanks for taking the time to post pictures and a description of your lunch. Looks good except for the buttermilk, I'm not a big fan of buttermilk, but I'm not a big fan of plain milk either. Will you be posting anything else here or is this a one time thing? Thank you, Yeah, I am going to write for a week. I'm just curious though, why Indian food is served on metal plates? To preserve heat or something? Thank you, :D Actually it is not me in the picture who refused the veg. It was my junior. Metal plates are used because it is highly durable. Food is served in Metal plates because they are virtually indestructible and can handle any rough and tumble during use and cleaning. Metal plates typically last multiple generations. Metal plates are also kid safe. You don't have to worry about them breaking and there being shards to cleanup if a kid drops them. Now a days we see lot of plates. But usually this is not the case in the previous years. You can see banana leafs to serve food. Eating on banana leaf gives a fresh feeling, also it is good for skin diseases. Unfortunate, as time flies away, people prefers plates, which is less hygienic. In low quality of indian shops use plastic sheets on top of plates.. oofff! dangerous! that actually looks like pretty good food. i think the food looks healthier then what i'm used to seeing in America. American schools could learn a few things from schools like this, as far as i'm concerned. I love your posts on your school lunches and the lunch delivery system in Mumbai. So interesting and healthy! I hope that you keep posting. I absolutely adore Indian food and it is readily available in my city in Canada! I once took an Indian cooking course for vegetarian meals. The food is so healthy and delicious. I also love to visit the Indian grocery store that is near my house to buy spices, homemade pakoras and samosas, and Indian snacks. That looks delicious and I love that there are no preservatives or packaged foods. So much healthier. Great job! Also, you write so well! I look forward to reading more posts from you. 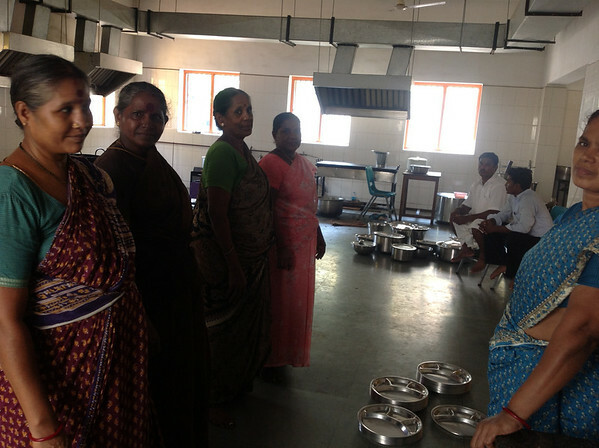 Thanks for sharing the delicious south indian food and school life. Generally, boiled veg food is always good for health rather than fried veg/nonveg. Though We, South Indians, use lot of rice now a days, it's not the same in the previous years (say 20 to 30 yrs ago). We need to understand the importance of Raggi, Cumbu along with Rice foods for balanced food. All the best and keep it going!